As you will most likely already know, the number of ships which head off on cruise holidays from Southampton is pretty staggering. Passenger liners leave the south coast city on an almost daily basis – and often even more frequently than this – with all those on board looking forward to visiting some of the world’s most desirable and exotic destinations. However, something that is not usually considered by many is what’s available in and around the port of departure itself. In fact, Southampton is a historic yet modern and vibrant location which is well worth visiting in its own right. In the following feature, you will find suggestions for some great things you can see and do if you find yourself with a day or two spare to spend in the city before embarking on your next cruise adventure. It goes without saying that one of the very best things about going on holiday is taking the chance to relax and enjoy some high-quality food and drink. Fortunately, if you find yourself in the Southampton area the night before your cruise departs, you can begin your indulgence early by booking a table at The Terrace restaurant – or maybe even a room at The Montagu Arms Hotel in which it can be found. ‘Lovers of good food, fine wine and our glorious English countryside can experience pure escapism at one of the New Forest’s finest hotels. 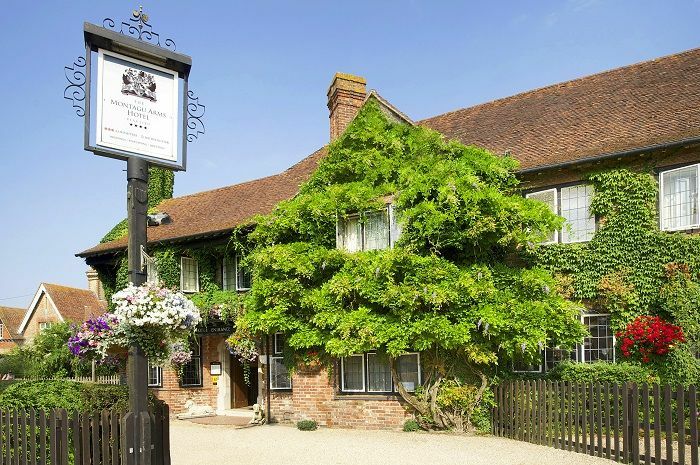 ‘The Montagu Arms is steeped in 17th century history and nestles in the heart of the picturesque village of Beaulieu, where New Forest ponies wander through cobbled streets lined with Georgian cottages. ‘This luxurious country house hotel is home to the award-winning Terrace restaurant, where head chef and Roux Scholar Matthew Tomkinson creates dishes inspired by the superb natural larder on his doorstep. ‘Just 14 miles from Southampton cruise terminal, the Terrace is the perfect place to enjoy a special lunch or dinner before setting off on your luxury cruise adventure. ‘The classic restaurant features floor-to-ceiling windows which open onto a timeless English country garden. ‘Matt’s menu changes with the seasons; elegant dishes influenced by produce gathered from the natural larder of the surrounding coast and countryside, and plucked from the hotel’s own kitchen garden. ‘Lunch guests can choose from a varied table d’hote menu, which features dishes like fennel velouté with crispy mussels to start, honey roast free range chicken with fondant potato and roasted shallot with madeira sauce, and a white chocolate and passionfruit cheesecake with crème fraiche sorbet. ‘Evening diners can choose from an a la carte menu or a Signature Tasting Menu, which features a collection of Matt’s signature dishes and can be upgraded to include wine pairings by the head sommelier. 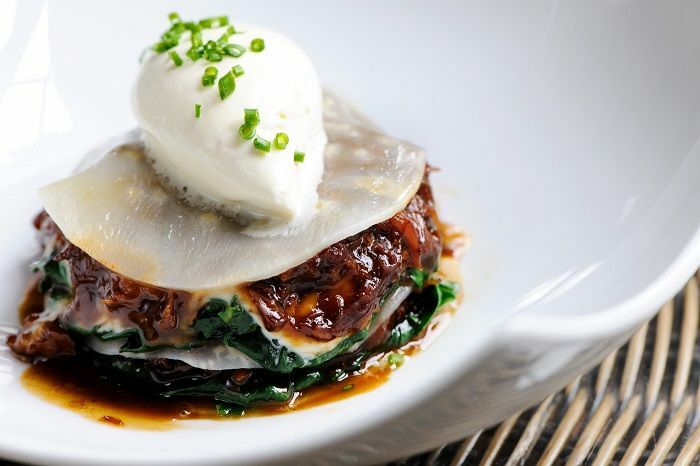 ‘Signature dishes include spiced diver-caught scallops with cauliflower purée, cumin velouté and apple, oxtail and celeriac “lasagne” with baby spinach and horseradish cream, and assiette of apples with apple sorbet, panna cotta and butterscotch sauce. ‘For a unique dining experience, the Surprise Tasting Menu sees Matt creating a surprise five-course menu from the best of the day’s seasonal produce. Menus will not be presented at the table – instead, the dishes will be described at the table as they are served. If you are a fan of contemporary art and are in the fortunate position of having a few hours of leisure to yourself before boarding your ship, there can be no better place to spend your time than at the John Hansard Gallery. Less than 10 minutes’ drive from the cruise terminal, the gallery (which has recently moved locations) is a hub of culture in Southampton and has long played a vital role in promoting the work of unique and talented contemporary artists, from local up-and-comers to internationally-acclaimed prize-winners. The John Hansard Gallery does this not just through the hosting of regular, cutting-edge exhibitions but also by coordinating artist talks, creative workshops, panel discussions and more. Those most closely involved with the gallery were able to share some information about its current exhibition, which showcases the work of the iconic German artist, Gerhard Richter. Why not combine your cruise departing from Southampton this summer with a trip to see some of Richter’s masterpieces in person? 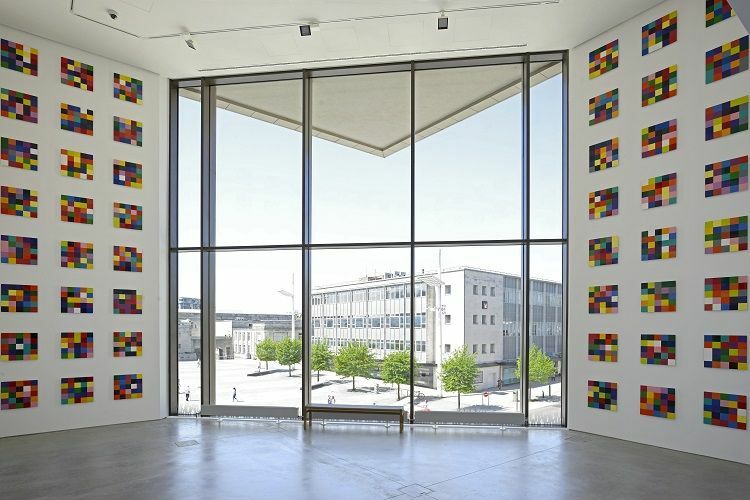 ‘John Hansard Gallery, part of the University of Southampton, is pleased to present ARTIST ROOMS: Gerhard Richter as the opening exhibition of its new home in Studio 144, Southampton’s Cultural Quarter. Gerhard Richter is one of the world’s most celebrated living artists. From 12 May to 18 August 2018, John Hansard Gallery will present a solo exhibition that includes significant examples selected from Richter’s wide-ranging practice over the past five decades. ‘ARTIST ROOMS: Gerhard Richter is developed in association with ARTIST ROOMS and includes additional loans from Tate and Gerhard Richter’s personal collection. This exhibition draws from ARTIST ROOMS, a touring collection of over 1,600 works of modern and contemporary art by more than 40 major artists. The collection is displayed across the UK through a touring programme, supported by Arts Council England, Art Fund and Creative Scotland. As much as fine dining and cultural entertainment have their place, however, let’s not forget that the most important thing for many people about going on holiday is simply seizing the opportunity to get away from the daily grind and have fun! Escape rooms have been booming in popularity in recent years, with many different venues offering a wide variety of themed games and challenges popping up in cities across the UK. Fortunately, Southampton has not been immune to this trend, and in fact is home to arguably one of the best examples to be found anywhere in the country. Cyantist – which also has a location in nearby Bournemouth – offers the perfect situation in which to bond and just have a great time with all the other members of your cruise party, whether they are the family members you share a home with or long-distance friends you only get to see occasionally. 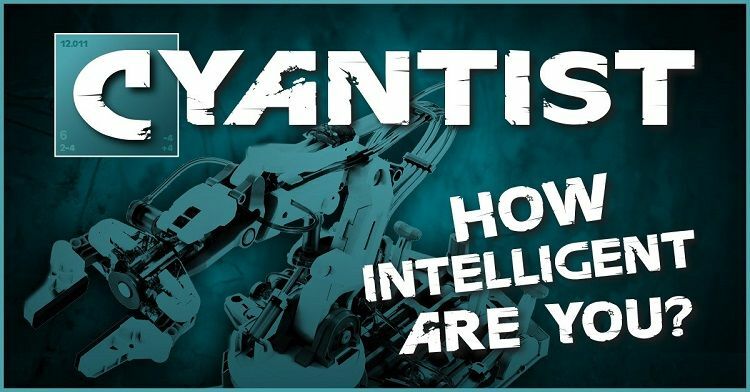 ‘Cyantist was the very first escape room in both Bournemouth and Southampton. The first venue was built in Bournemouth back in 2014 and it came to Southampton in 2016. ‘Our escape rooms were designed to be educational and fun at the same time. It's a family-friendly puzzle game with science-related logic games and riddles. All our rooms are based on common sense and elementary school knowledge, but the tasks you need to solve to escape aren't easy at all. So challenge yourself! ‘In Southampton we have two indoor rooms. 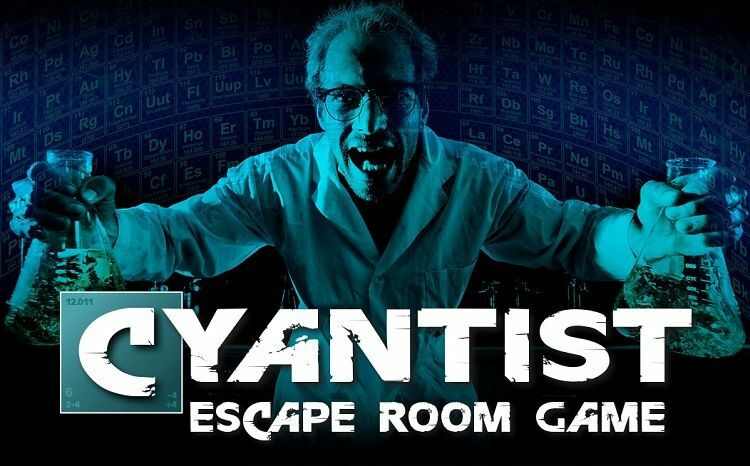 The Crystal Maze room - the most challenging of ours and also probably in the whole of the city - is more like a quiz room which focuses on testing different kinds of skills, while our Cube room is a geeky escape room. ‘We also have an outdoor treasure hunt game which uses augmented reality technology. It's based on geocaching and exploring the city of Southampton. In this game we provide you with an iPad and an action pack which you need to use during your mission to solve the actual tasks, whilst exploring the city in the meantime.